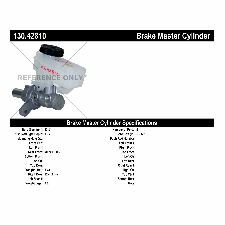 We also have Brake Master Cylinder parts for other Infiniti models, including EX35, EX37, FX35, FX37, FX45, FX50, G20, G25, G35, G37, I30, I35, J30, JX35, M30, M35, M37, M45, M56, Q40, Q45, Q60, Q70, Q70L, QX4, QX50, QX56, QX60, QX70. As A Rule, Always Use The Brake Fluid Recommended By The O.e. Which Is Stamped On The Master Cylinder Lid. Note: Always Use New Fluid From A Sealed Container. Check Booster For A Defective Push Rod Seal. If This Seal Is Bad, It Could Drain The Brake Fluid Out Of The Master Cylinder. Check The Steering And Suspension. Inspect Both Calipers For Binding Or Sticky Slides Or Pins. Check Brake Lining For Oil/grease Or Uneven Wear. Inspect Brake Hoses For Restriction. Check For Proper Tire Pressure. 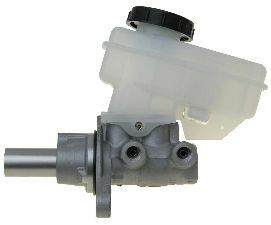 Does A Step Bore Style Master Cylinder Require A Specific Bleeding Process? Dot 3 And 4 Are Glycol-based Fluids And Dot 5 Is A Silicone-based Fluid. 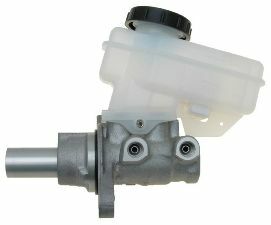 How Can I Test A Master Cylinder To See If It's Bypassing? I Replaced The Master Cylinder And Now The Pedal Is High And Hard. Why? My Original Master Cylinder Leaked Out Of The Back Of The Piston Into The Booster Area. Why? One Side Of My Front Brakes Won’t Release, Why? Simply Plug The Master Cylinder Ports And Press The Brake Pedal. If The Master Cylinder Is Bypassing, The Pedal Will Go Down. If The Pedal Stops Hard, The Master Cylinder Is Ok. The Brake Pedal Is Low And Spongy. 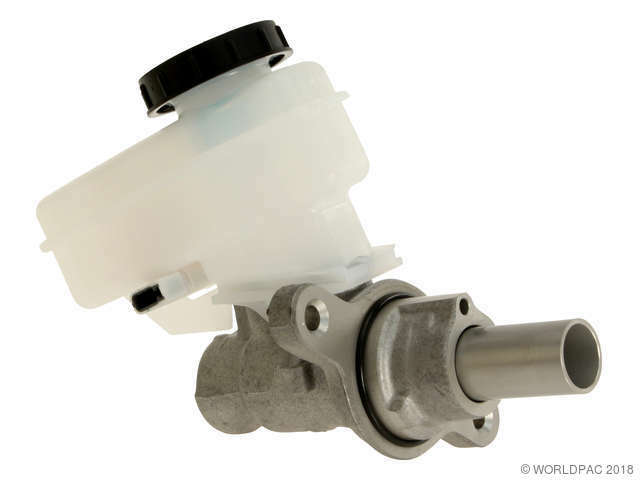 Is It A Bad Master Cylinder? The Master Cylinder Is Working Correctly. Check For A Faulty Brake Booster Or Frozen Wheel Cylinder/caliper. This Is Caused By A Problem With The Caliper Or A Brake Hose. What Causes The Brakes To Lock Up After Only A Couple Of Miles? What Causes The Car To Pull To One Side During Braking? What Type Of Fluid Should I Use: Dot 3, Dot 4 Or Dot 5? What’s The Difference Between Dot 3, 4 And 5? Why Is The Piston Stuck Inside The Bore Of My Master Cylinder? A Bleeding Kit Is Supplied To Make The Bleeding Process Faster And Easier (where Applicable). Bores Meet Critical Micro-finish Specifications To Eliminate Pitting And Corrosion, Which Could Cause Premature Failure. Cast-iron Master Cylinders Feature A Premium Protective Coating To Minimize Rust, Extending On-car And On-shelf Life. New O.e.-quality Seals And Cups Are Installed To Prevent Leakage And Ensure Like-new Performance And Reliability. All Rubber Meets S.a.e. Specifications. Piston Assemblies Are Height-gauged To Meet O.e. Performance (where Applicable). Plastic Reservoirs Are Vacuum-tested To Ensure Proper Function (where Applicable). Building on decades of experience using reverse engineering to remanufacture brake products, CARDONE engineers have meticulously designed our CARDONE New Master Cylinders to match O.E. performance standards. Supplied with new O.E.-quality seals and cups, each unit is endurance-tested to ensure perfect fit, function and reliable performance. The Centric Parts brake hydraulic program is the most complete and up-to-date in the industry and includes Brake Master and Wheel Cylinders, Brake Hoses, Caliper And Wheel Cylinder Repair Kits And Remanufactured Power Boosters. Centric Parts Brake Master Cylinders match original equipment parts in quality, configuration and fitment. Cylinders are complete with reservoirs, switches, and floats and are offered with the original aluminum casting body design where applicable. 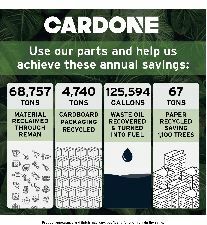 CARDONE Remanufactured Master Cylinders are re-engineered, built and tested to match O.E. performance. Each unit features new, O.E.-quality seals and cups to ensure leak-free, long-lasting performance. Cast-iron master cylinders are treated with a premium protective coating to minimize rust and extend product life. All units are 100% computer tested to ensure perfect fit and function.